Post news Report RSS	You can Double JUMP v0.4.3 demo out now! A preview demo is out now! It contains 7 levels, time targets, a fully working world map, 2 types of collectables, 2 bonus levels and whole host of other fun stuff. Gold and Silver Threads make up the collectables in the game. They work as currency to unlock new levels. 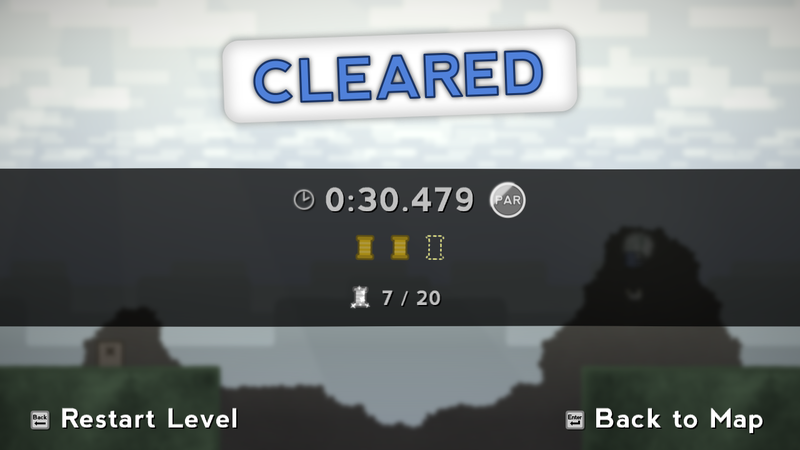 All the levels (except the bonus ones) have 20 Silver Threads to obtain and 3 Gold ones. 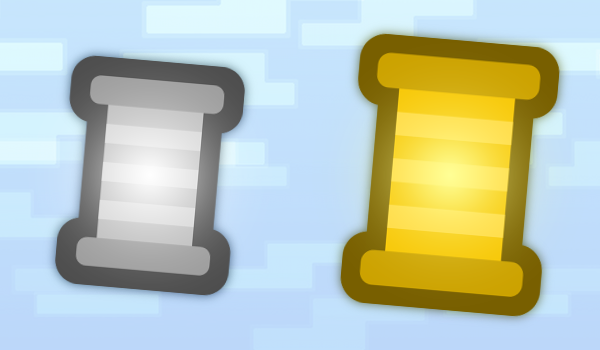 The difference between the two is that any Gold Threads collected are saved upon activating a checkpoint whereas Silver ones are not. This means collecting all the Silver Threads in a level requires you to not die after touching a checkpoint. They are balanced out however by being easy to find and collect. The same cannot be said for the Gold Threads, which are a bit more of a challenge to grab. Each level has 2 time targets in the form of 'Par' and 'Pro' time target medals. 'Par' targets are moderately difficult but allow a decent amount of leeway to achieve. The 'Pro' targets on the other hand require good knowledge of the level layout and also the best route to navigate. They also don't leave much margin for error, so good luck! The world map is where you'll select which level to play and it also displays your Thread totals and level scores. The circular toll node (displayed above with the number 50) shows how many total Threads of the specified colour you'll need to unlock it. Unlocking these opens up a new path with additional levels to complete. Silver tolls always unlock a new path in the map but Gold tolls are only used to unlock the final level. 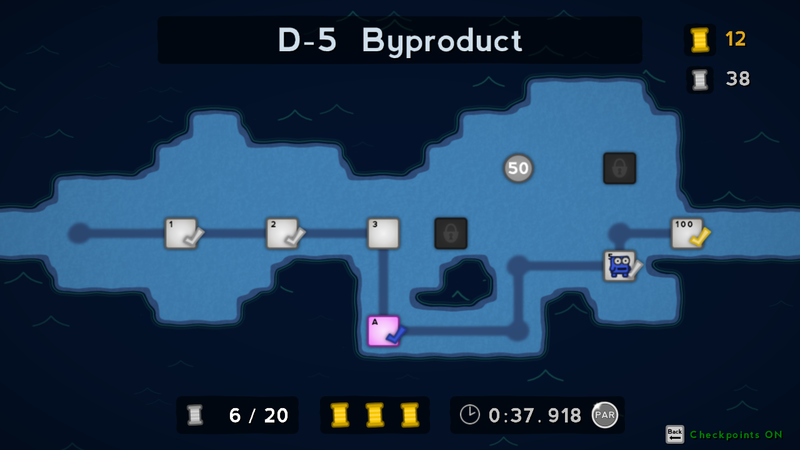 The gravity-bending bonus levels are denoted by a purple coloured node on the world map. They can only be accessed by finding and successfully completing the Inverse Portal challenge on the previous level. 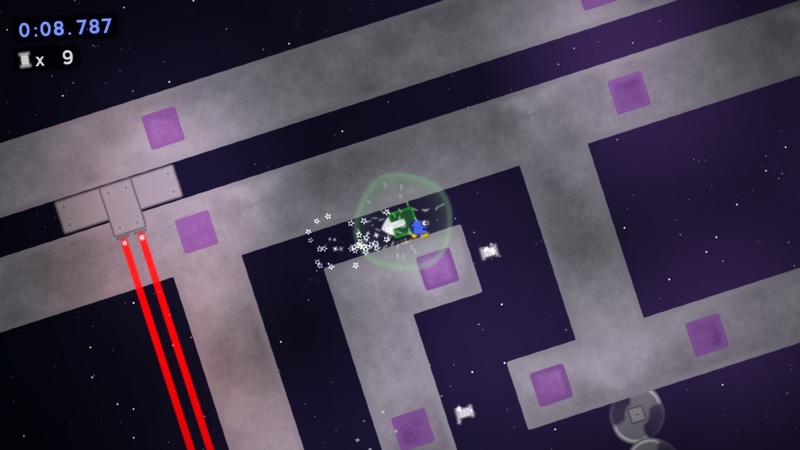 The bonus levels are set in space and usually offer a shortcut in the world map. These space levels differ to regular ones because they contain Roto-Blocks. These items rotate the level around the player while maintaining their momentum. 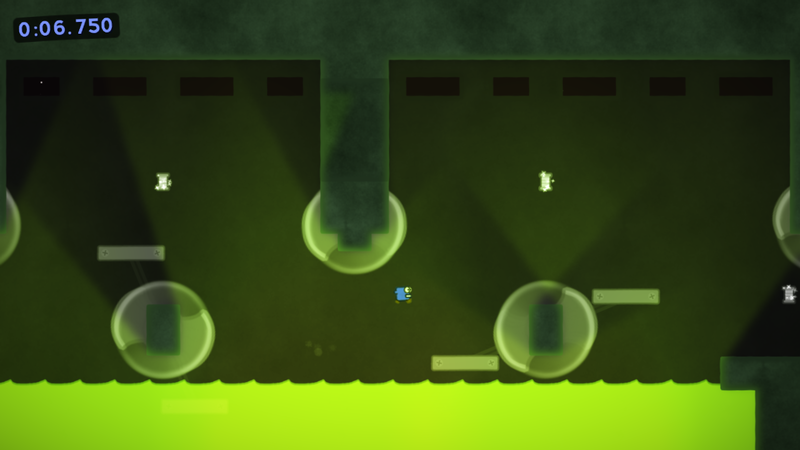 This allows for trick jumps which can be used to "fling" the player but also they make for interesting level design. I hope you enjoy the demo and please leave a comment below saying whether you enjoyed it or not.